A Magic Touch provides both in-home and outcall mobile manicures and pedicures we offer 30-minute manicure OR pedicure. or a 1.15-hour with a one-hour minimum manicure/pedicure. We Offer an Ultimate pedicure Service that is 45 minutes all alone We have twelve expert mobile nail technicians who provide comprehensive manicures and pedicures in your home, at your office, or even your hotel suite. Imagine not having to ever leave the comfort of your personal space in order to receive a mani-pedi session, an ultimate pedicure, a full set of gel or acrylic nails, as well as mini manicures and mini pedicures… doesn’t that sound great? Our professional, licensed and insured nail technicians will bring professional quality equipment and supplies with them—including a foot jacuzzi, tons of polish, and all other items needed to provide a luxury spa treatment in your home, hotel room, or office in or around the Scottsdale and Phoenix Arizona, Las Vegas Nevada, and Southern California*** areas. And they all speak English! 60-minute sessions, which combine a soothing soak, a massage, and a manicure (and/or pedicure)—including cuticle care, buffing, and polish. Individual manicures, pedicures, and fills for acrylic nails and gels are available when two or more guests schedule together for a minimum of 60-minutes. This time may be shortened for larger parties. In home manicures and pedicures make a perfect girls’ night in! Add on services such as mobile massage, live music, and personal chef to make your spa experience a complete and unforgettable package! Can also be done at corporate events as mini manicures or mini pedicures. The lady clients absolutely love this option! Mobile manicures and pedicures are great ways to show your clients how much you value them, and keep them coming back time and again. We have a large staff of licensed nail technicians, thereby allowing us to accommodate manicure or pedicure events or parties of any size. Manicures and Pedicures are available in with a one-hour minimum increment but must be booked in one hour blocks of time. Therefore if two people each want a 30-minute session, then 1 technician can be booked for both participants. We also offer a 1.15-hour Mani-Pedi combo option for one person. Gels and acrylics are performed separately and require 1-hour Minimum per service. Please feel free to contact us to learn more about our policies and service options. 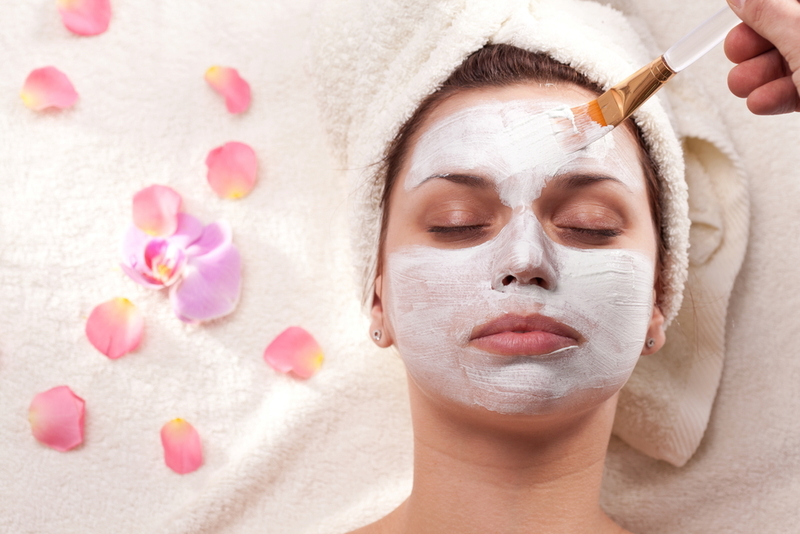 Having a mobile facial in your home, at your office or in your hotel suite is relaxing, refreshing, rejuvenating, and also a comfortably private way to pamper yourself in the sanctity and security of your own personal space. Mobile facial treatments are also the perfect mobile facial 2 addition to any gathering of family and friends—including slumber parties, bachelorette and even bachelor parties, girl’s nights in, women's’ retreats…and of course our onsite estheticians bring all of the professional equipment necessary for a fully comprehensive and full-service resort-style spa treatment experience. Our customers love having our mobile manicure or pedicure nail technicians at their spa parties and events. Below is a testimonial of this love, but you can also click here to see more testimonials from our satisfied clients.